Creamy yoghurt, tangy raspberries and Weet-Bix™ Cholesterol Lowering–what a perfect way to start the day. Lightly crush raspberries and fold through yoghurt. 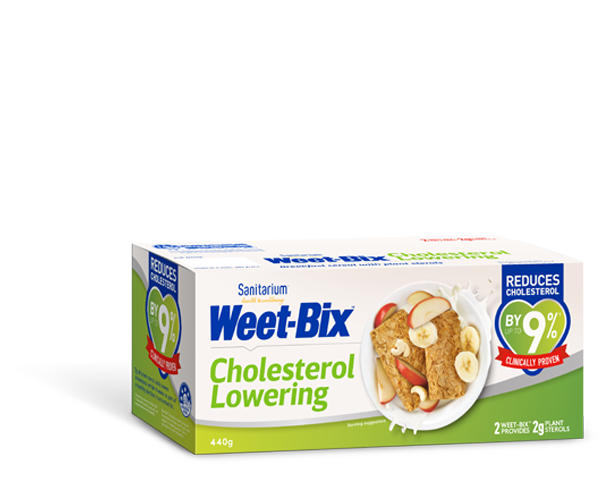 Spoon yoghurt over Weet-Bix™, scatter with almonds. Sprinkle with cinnamon or your favourite spice. Layer in a glass the night before for a grab-and-go brekkie.